Although there will be another alert as we get closer, now’s the time to mark your calendars… And get your tickets! On Friday 28 July we’re playing aboard the Becky Thatcher, leaving the dock in Deep River for a little river cruise between 6p and 9p, singing all the way! 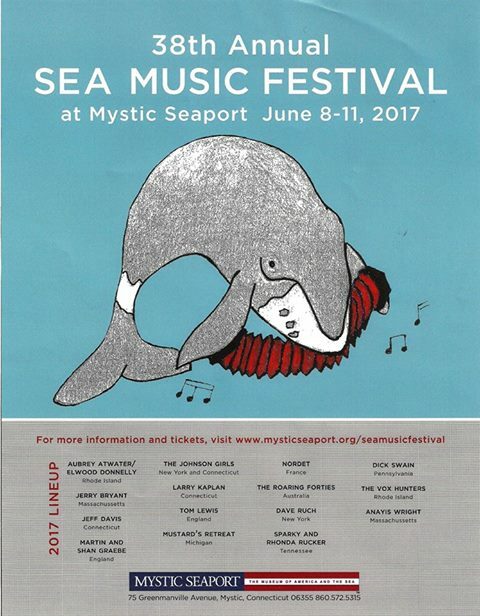 Tickets are 45$ and you should either call 800.377.3987 or visit the website essexsteamtrain.com. 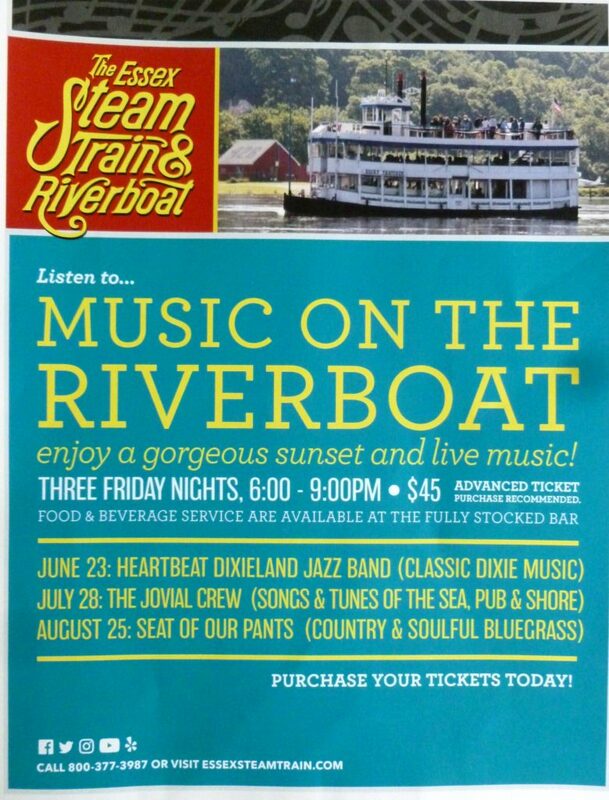 Your ticket gets you a train ride from the station in Essex up to rendezvous with the riverboat, time with us, and the return trip via the train to your vehicles back in Essex! Perfect date night! This entry was posted in Uncategorized on 27/06/2017 by JosMorn. But with the warmer weather comes myriad possibilities. Friends and performers from afar and crowded tap rooms… Be grateful it won’t be smoke filled like days of yore! A couple of new songs to the repertoire… Farewell to Carlingford and The Banks of Newfoundland. This entry was posted in Uncategorized on 19/06/2017 by JosMorn. On Monday the 12th will be our annual hosting of Survivor’s Night at the Griswold Inn! I understand that all the tables have already been booked, but we’ll have a speaker in the tap room so that you’ll hear what’s going on, and usually the room opens up for standing room after the tables have been cleared. TAKE NOTE: this is not our usual weekly performance! It’ll be more of a concert format – We’ll open per usual but then there will be A LOT of guests both professional and amatuer and they will be singing their hearts out for you! Give them your attention and participation… The tap room is where the conversations should take place. This entry was posted in Uncategorized on 06/06/2017 by JosMorn.